Includes 54 super giant blocks. Towers start at almost 30" high! A super version of your favorite stacking game! Super Tumbling Timbers. We've added a whole new dimension to the classic stacking game. Each high-quality hardwood, lightweight hollow block is 9" x 3"W x 1-5/8"H so the tower is almost 30"H at the start of the game! We've even included optional rules and variations to accommodate different levels of play. 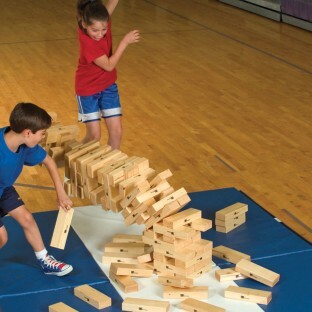 As a team-building exercise, use 2 sets of Super Tumbling Timbers for side-by-side competition. Includes 54 wooden blocks, instructions and storage case. 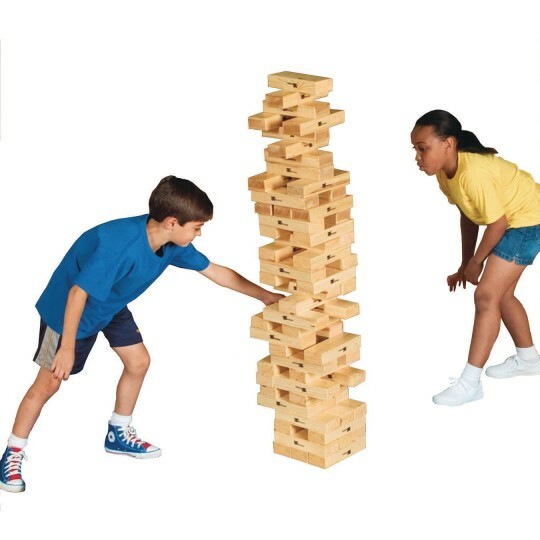 Plays just like a giant or jumbo version of Jenga®. Download a PDF of the Activity Guide to see a few of the fun ways to use Super Tumbling Timbers. A coworker suggested these to me when we were talking about purchases larger versions of games to make gaming more fun. I ordered these and pull them out one to two times a week easily. The convent canvas bag makes for easy transport and storage. The student love the larger size blocks. I love that they are hollow and not a solid 2x4. 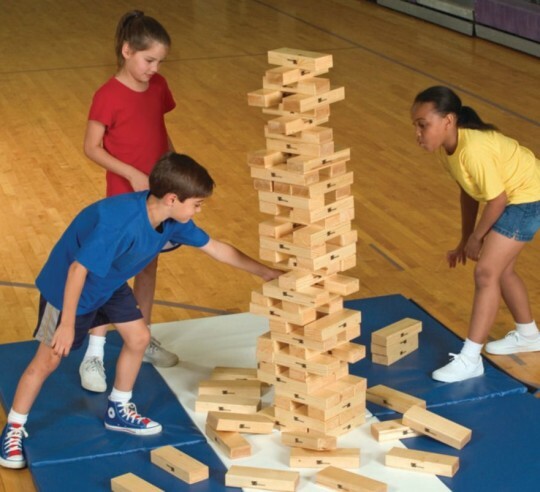 I do an after school program for kids ages 8-12 they love Jenga and have been asking for giant jenga for some time. I was worried about using the thick sturdy 2x4s in fear that some of my younger students could get hurt when things tumbled. 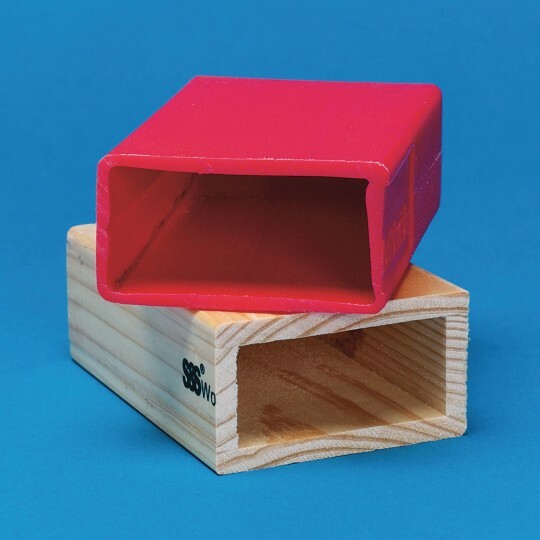 These blocks are sturdy but hollow. Yes if you chucked one pretty hard someone could get hurt but they will not cause damage when the fall down. Bought this for an event and haven't had the opportunity to use it yet. There is some misrepresentation with what the game comes with. SS description says it comes with a zipper bag it did and nice way to transport but the internal instructions say it comes with a storage crate / step that will hold up to 180 lbs. There was no crate / step. A bit disappointing. I think the staff has more fun with this!! This was the most popular Jumbo game we own and we own a few. Favorite among all.